At Castle Remodeling, it is our team’s goal to provide Agoura Hills’ residents with outstanding bathroom and kitchen remodeling services. We specialize in every aspect of kitchen and bathroom remodeling, including cabinetry. Our company has the products and tools needed to create gorgeous, one-of-a-kind bathroom cabinets at our warehouse, so you can rest assured your cabinets are created by state-of-the-art machinery and highly-trained individuals. 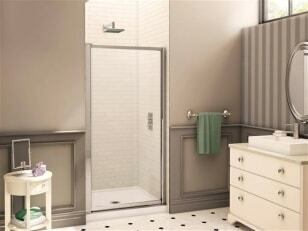 We can create custom bathroom cabinets for any size bathroom. Our skills are not limited to bathroom vanities—we can also create other types of bathroom storage cabinets, as well, including towel cupboards and over-the-toilet storage. If you are lacking space in your bathroom and wish to upgrade your cabinetry, please contact our Agoura Hills bathroom remodeling professionals at (818) 991-0361. Free estimates are available!